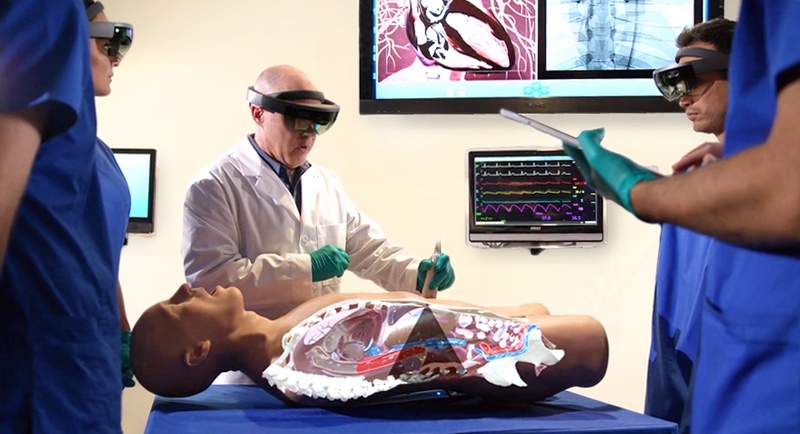 On the eve of the International Meeting on Simulation in Healthcare (IMSH) in Orlando, Florida, the largest medical simulation conference, CAE Healthcare announced the release of CAE VimedixAR, an ultrasound training simulator integrated with the Microsoft HoloLens, the world's first self-contained holographic computer. CAE Healthcare will be the first company to bring a commercial Microsoft HoloLens application to the medical simulation market. "We are on the cusp of a new frontier in simulation for healthcare," said Dr. Robert Amyot, president of CAE Healthcare. "Augmented and virtual reality can accelerate learning and provide shared training experiences in a more immersive and engaging clinical learning environment. Our engineering team is just beginning to explore possibilities with the Microsoft HoloLens, and we look forward to offering it as a key training solutions technology to our industry partners." The CAE Healthcare team has already begun to develop training prototypes with the medical device industry that incorporate the Microsoft HoloLens and are expected to accelerate professional education for new technologies. With CAE Healthcare's virtual views of human anatomy and the Microsoft HoloLens, physicians will be able to practice placing cardiac devices or implants with speed and precision before they perform procedures on real patients. "At Microsoft our goal with HoloLens and mixed reality is to help customers visualize and interact with 3D content in ways that offer new possibilities for creation, collaboration and consumption of information," said Lorraine Bardeen, General Manager, Microsoft HoloLens and Windows Experiences. "It is inspiring to see how CAE is integrating HoloLens into its healthcare simulation portfolio, and we are excited about the opportunities mixed reality presents to revolutionize the future of patient education and training through the use of holographic computing."